This is a very economic way to process your giving — ACH, which stands for Automated Clearing House. It’s kind of like an eCheck. Essentially, you will submit your checking account information and we will have Chase Bank withdraw the designated amount. We know that for us to just say, “Trust us” with your account information seems a little trite, but please trust us. Your information will not stay on this website so no one can hack into it. We submit it directly to Chase Bank and then expunge it from our files. If you are giving monthly, your account will be debited on this day every month. In other words, if today is the 6th of the month, you can expect next month’s charge on the 6th also. We will make it work for the end of the month days also. If none of the options below is selected, your contributions will be applied to the general work of USA Homestays. 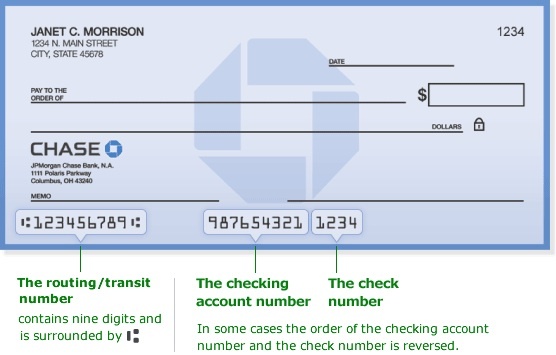 This is a picture of a check with routing and account numbers displayed. You should shortly get an email from us confirming your giving.